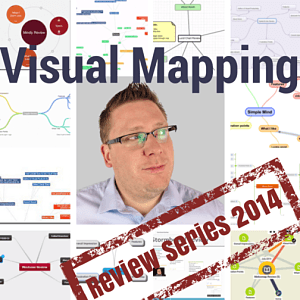 Welcome to the Visual Mapping Review Series – 2014 edition. 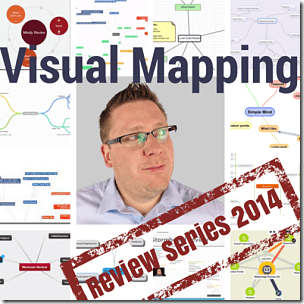 Here’s a look a what to expect from the 2014 version of the Visual Mapping Review Series. I’m looking forward to seeing the improvements in products from last year, and also at seeing what else it out there. I'll be adding links to this page as I complete the reviews, which means this will end up being a gigantic compilation list. I'll also include links to individual posts for each review. The posts will include more information, as well as transcripts, and possibly other links. MindMup lets you save your maps to Google Drive (and Dropbox). You can also use Google functionality to enable live chat and collaborate with others (not shown in video). You’re even able to export slides in PowerPoint format. This is a review of Mohiomap. 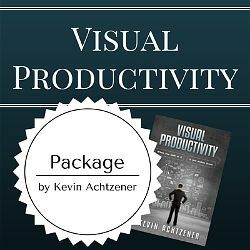 It's a visual mapping program that takes all of your Evernote information and turns it into one huge visual map. Since so many people use Evernote, I thought it would be good to go over Mohiomap, to see what it can and can't do. I had a fun time using Mohiomap, and I was able to find some neat the applications for it, but I also ran up against a few limitations. 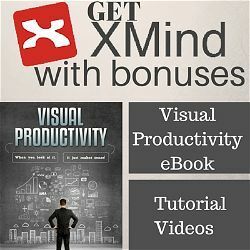 This is a review of the Mindomo visual mapping program. This program is actually a triple threat. It has a desktop application, it has a web interface, and it’s also available on mobile devices, although sadly not for the iPhone. I ended up going a little overboard on this review and made a 17 minute video. At least you know it’s thorough. LOL. SimpleMind is available as both a Desktop client and an iOS app. In this video, I look exclusively at the iOS app. You can download the app and test it out for free. 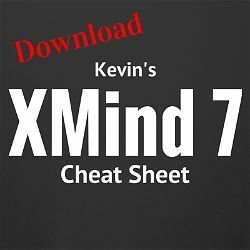 There’s an in-app purchase for $4.99 which will unlock addition features (which you would need if you’re planning on using SimpleMind for serious work). The Desktop client (PC, Mac) isn’t required, but it would obviously help in syncing up info between your computer and phone if you choose to use it. It goes for €23.99 for a personal license from the developers site. Coggle is a web-based mind mapping program that let’s you save projects in your Google Drive. Spiderscribe is a cloud-based visual mapping tool. You can add text, documents, images, locations, and even dates to your visual maps. Spiderscribe has a unique look to it, and sometimes it feels almost like a flow chart because of how it’s laid out. Lucid Chart can also be used for wire framing, mock ups, and even planning out iOS and android apps. I recently sat down and took some time to go over all the benefits and drawbacks of Lucid Chart in regards to using it as a visual mapping tool. The video below will show you what I found. Stormboard is an online white board collaboration tool. I recently sat down with it, and want to share my initial impressions with you in this video. Group map has some cool uses as far as getting feedback and commenting on ideas. Mindly is an iOS based visual mapping tool. The basic app is free with a paid upgrade for more options. You can follow this link to download Mindly from the iTunes Store. Text 2 Mindmap is a web-based app that lets you take text and convert it into a visual map. You can use it right from the home page without a login, but they also provide options for you to save your content on the site. MindMeister is an web-based visual mapping tool. There are also apps (iOS, Android) to help your mapping on the go. Bubbl.us is a free to use web-based visual mapping solution.